A type of battery first invented nearly five decades ago could catapult to the forefront of energy storage technologies, thanks to a new finding by researchers at MIT and other institutions. The battery, based on electrodes made of sodium and nickel chloride and using a new type of metal mesh membrane, could be used for grid-scale installations to make intermittent power sources such as wind and solar capable of delivering reliable baseload electricity. The research team also included Fei Chen at Wuhan University in China, MIT research scientist Takanari Ouchi, and postdocs Ji Zhao and Nobuyuki Tanaka. 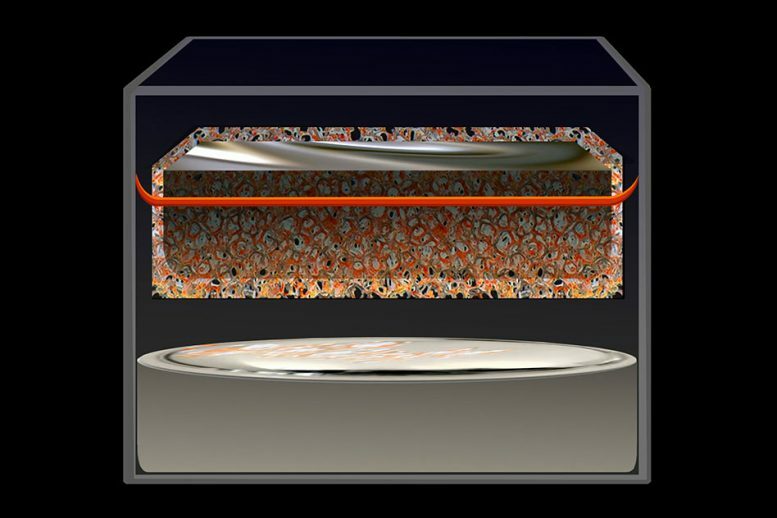 The work was supported by the French oil company Total S.A.
1 Comment on "Metal-Mesh Breakthrough Could Solve Rechargeable Battery Issues"
Is it recyclabe and how many cycles can it be charged before dissipating?